Hello, I'm Lance James, a 15 year old autistic human. I feel like a share a gracious amount of similarity with you, jacob, and I feel like I should get to assist you in your road to curiosity within indie games. I'm going to buy pico 8 for you. May I also say that the amount of words you put into this post are excellent for a person like you? or anyone? and I feel like If I could not only buy pico 8 for you, but teach you how to program, and design games and programs within pico 8, I could gain personal gain and appreciation for the both of us as game designers? I very much feel like you'd be a lovely addition to this bbs, and would have so much to give to us. I'm simply giving you the ability to do as such. Hell, even reply to my replies on this topic if you wish. I'd like to throw my possible services in as a helper. My name here is my name elsewhere, so I should be pretty easy to find on Skype and Twitter. As to my credentials: I've been working in C# for about...oh, four or so years. I've got a good sense of game design, but my technical skills are still what I would consider to be subpar. 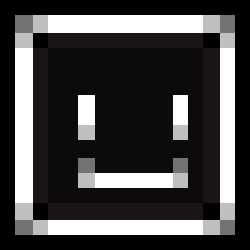 Can I get your email, so that I can gift you voxatron + pico 8?